Angelina Ballerina is the picture book that first introduced Angelina to her adoring fans. This tiny dancer has proved to have enormous staying power--she has been a hugely popular character for more than twenty years. And Angelina's popularity only continues to grow. She is even the spokescharacter for National Dance Week.With Katharine Holabird's lively writing and Helen Craig's charming illustrations, the original story about the feisty little mouse who wants nothing more than to dance still keeps young ballerinas leaping with delight. 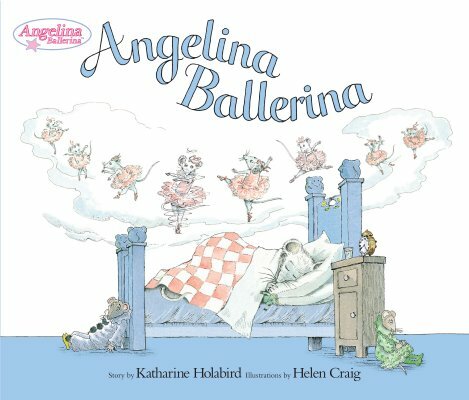 Katharine Holabird's first Angelina Ballerina book was published in 1983. After graduating from the Francis Parker School in Chicago, Katharine attended Bennington College in Vermont. She received a B.A. in Literature from Bennington in 1969, and then worked as a literary editor at the college for a year. The following year she went to Italy, where she became a freelance journalist. In 1974, Katharine married and moved with her husband, Michael Haggiag, to London, England where she lives today with her family.